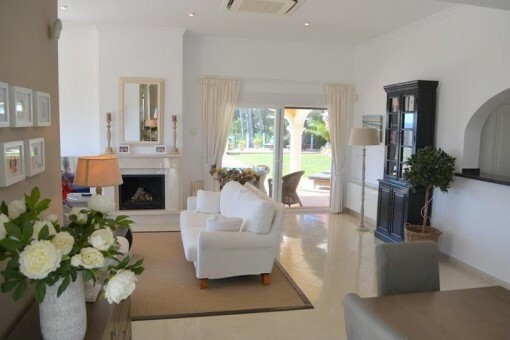 Luxury 5 bed Villa located in the prestigious La Sella Golf Resort, very close to Denia and the sandy beaches. 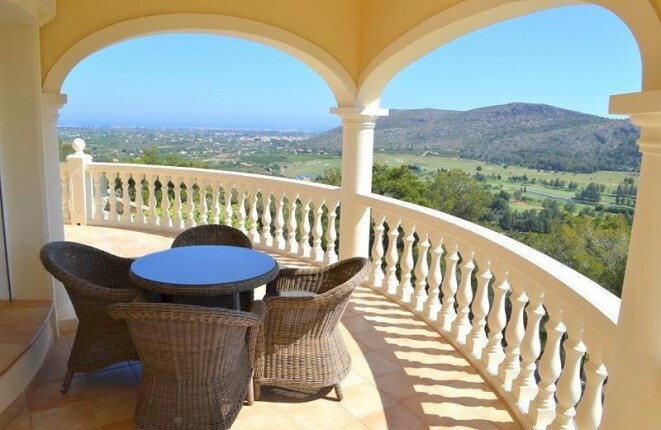 This villa offers fantastic panoramic views over the Natural Park Montgo and the Mediterranean sea towards Denia and Javea. 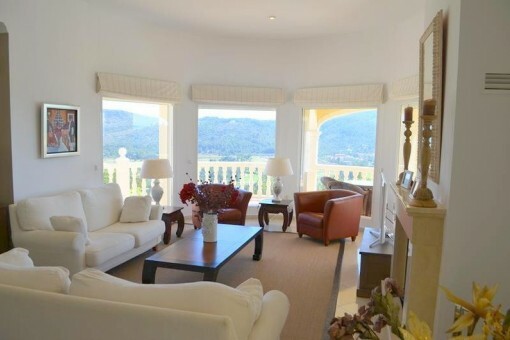 Completely refurbished in 2010, this impressive 5 bedroom villa is laid out over 2 floors. 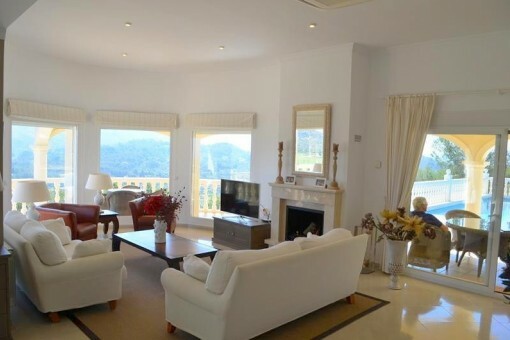 The main living area comprises a spacious living / dining room with large sliding doors giving access to the outside terraces and poolside, and from which one can enjoy the stunning views over the gold course and out to sea. 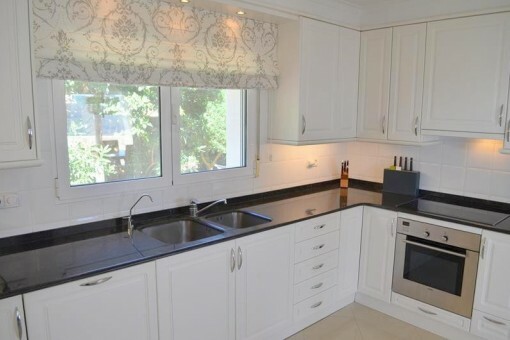 There is a large open-plan kitchen with laundry area, and which also has direct access to the poolside and terrace. 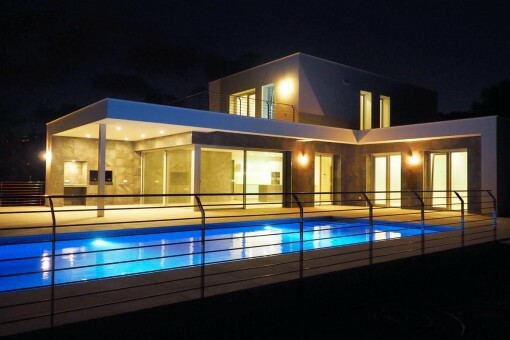 The large pool - 5x10m, is heated and fitted with an automatic cover. Poolside is laid to lawn, and the poolside terrace has its own fireplace. 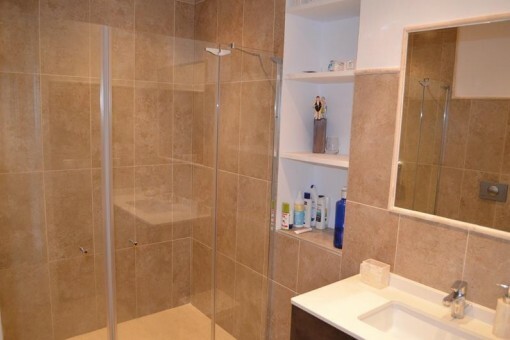 The lower floor has a self-contained apartment with fully fitted kitchenette, living room, 2 double bedrooms and 2 bathrooms. 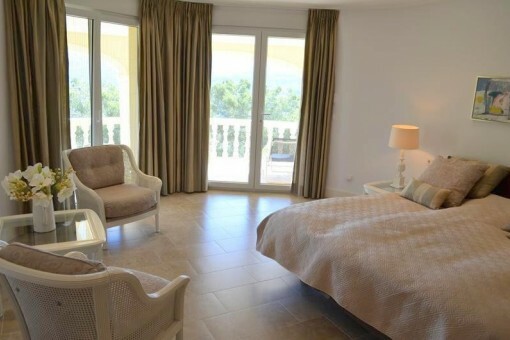 You do not need to play golf to enjoy living at La Sella, over 60% of the people living there do not even play! However, it does help raise the level of the entire area and contributes towards making the area greener and more beautiful. 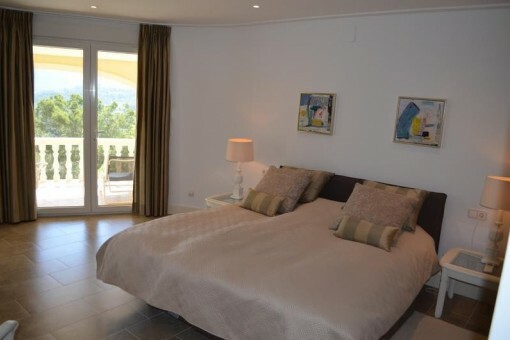 La Sella is more like an exclusive residential area. It distinguishes itself from other "resorts" by removing the encircled "resort- feeling". 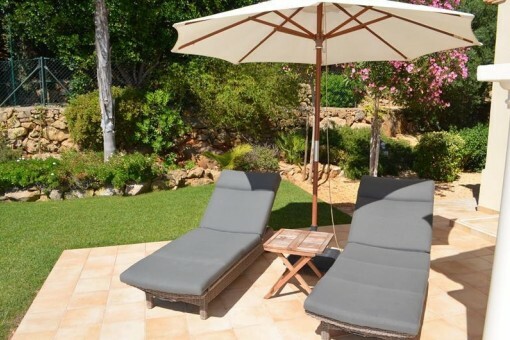 La Sella can be considered more of a traditional and well established area of villas, where the "borders" for the resort do exist in a discrete manner. 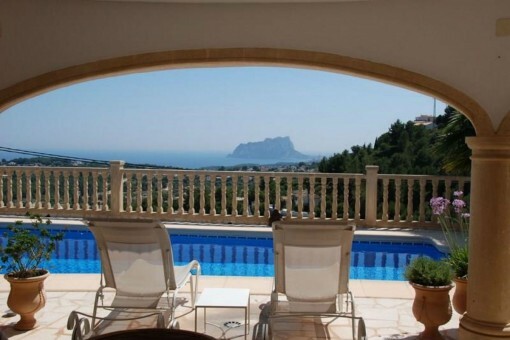 There is 24h security surveillance on La Sella with an entry and exit control which is all done very discreetly. In other words, maximum security without interrupting your privacy. In addition La Sella is complimented by the ***** Marriott luxury hotel, where you will have access to spa treatments, restaurants and many other facilities. The La Sella golf club is situated within the grounds of the Hotel and is easily accessed from La Sella. La Sella is part of and surrounded by a nature reserve locally known as Montgo, which ensures that no more houses or apartments will be built in this area. The reserve offers great hiking opportunities, and people travel from remote places just to experience this beautiful location. La Sella also has a service centre with a relaxing bar and restaurant (popular meeting place for many of those who live there), a small supermarket, administration/service office . 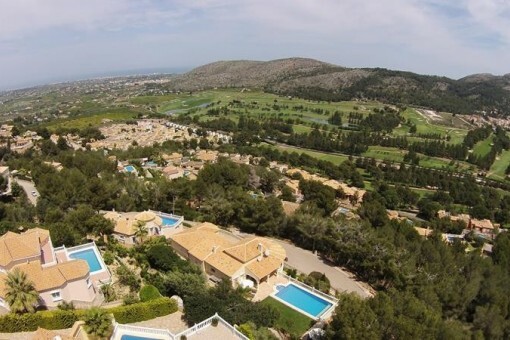 This area of La Sella also has a horse riding facility and nine tennis courts. The area that surrounds La Sella boasts lemon, orange and almond trees which are a delight to watch through the seasons especially during the months they are in blossom. You will find within easy reach many restaurants serving fabulous traditional Spanish food, international cuisine from all over the world and some world class seafood. La Sella is approx. 2-3km (5-10min) drive down to one of the greatest beaches on the entire coast or if you decide to drive inland, there is a beautiful mountainous area which you can discover by car or for the more athletic by bike. There are plenty of gorgeous valleys with breath taking landscapes complimented by small cosy villages with traditional Spanish food to be discovered. Generally, the entire area is very fertile and green. La Sella is in between 7-8 towns and villages, all within a few kilometres. The closest (1-2km) is Ondara.Ondara has a lot to offer, but is best known for its large shopping centre "La Marina", where you can get everything from cars and clothing to TV's and groceries. The others include La Xara,Jesus Pobre, Pedreguer. 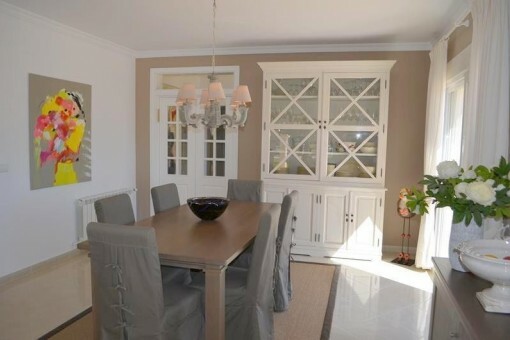 I'm interested in: Modern villa in exclusive neighborhood (Objekt-Nr.100072).